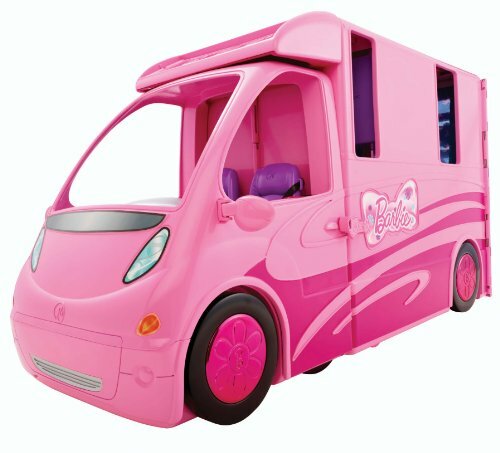 Now is the time to grab this deal with the latest price drop on Barbie and Her Sisters in a Pony Tale RV Vehicle – Price Drop To $67.49 v $89.99. This certainly would have been on my Christmas list when I was a child! If your little Princess loves Barbie and horses this is the perfect gift. This fabulous toy is inspired by the new Barbie Movie, Barbie and Her Sisters in A Pony Tale. This is perfect for imaginative play as girls can recreate their favorite scenes from the movie. What is great about this toy is that it has so many features. 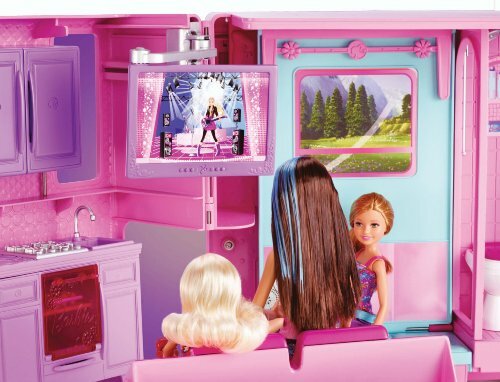 The camper opens to reveal multiple play areas where Barbie can eat, sleep, swim, and more! The kitchen even features a hot chocolate maker. The detailing in the camper is fabulous. When you take the RV you really need a smaller vehicle too and Barbie has thought of this! There is a detachable two-seat vehicle with room for four dolls — or two dolls and a horse. Everyone also needs somewhere to sleep and the bedroom has a big-screen TV and four bunk beds, while the bathroom includes a toilet and shower. Even the pool converts to a fire pit! This is a highly rated toy with 4.5 Star Reviews. Suitable for ages 3 and up. Huge Maternity Event @ Hautelook: Up to 70% Off!